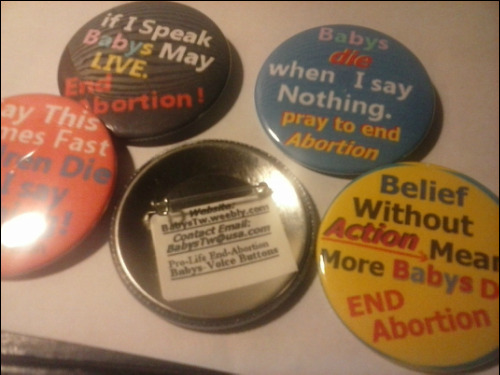 These Buttons are to encourage people to be actively speaking for the Babies who have no voice and who are being taken to be killed. If we do not speak up they will die. 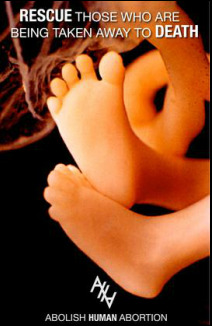 Babies are being put to death because the hearts and minds of people have been taken with falsehoods. We have the freedom to speak up for their lives. The babies have no voice but ours. At this point in our history we are not risking our death if we speak, we are not risking loosing our property, We are not risking arrest by speaking for the Babies, we are not even risking a fine. 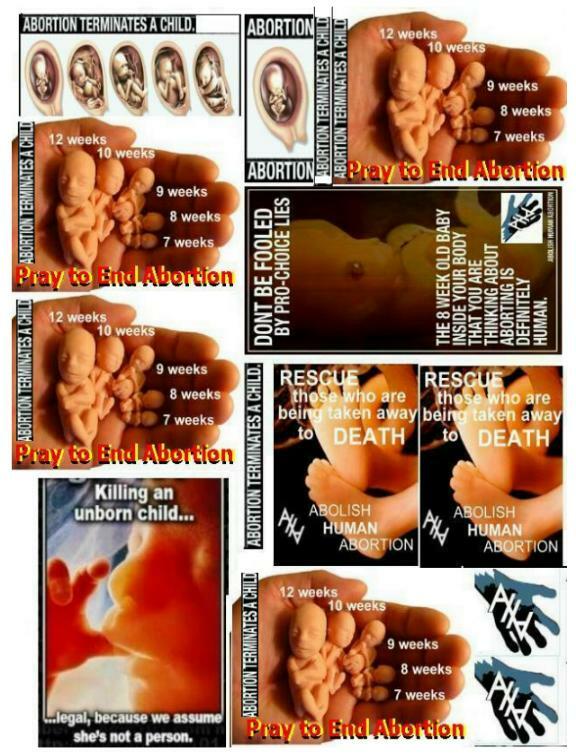 So why are we wasting our freedom and allowing Babies to die not even speaking for their lives? 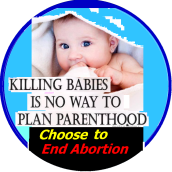 The latest Abortion procedure is to induce birth and just putting the child aside in a room and closing the door (so as not to hear the baby's cry) to starve to death or "Planned Parenthood" cuts apart the whole born baby and sells their body parts. 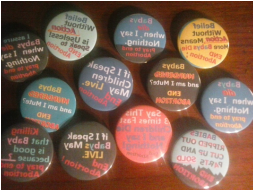 Ask people what they think of your button. 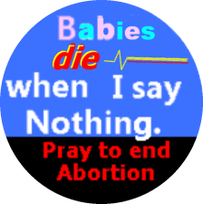 Now you will know that they are thinking about Abortion, because they cannot answer your question about your button unless they read it. 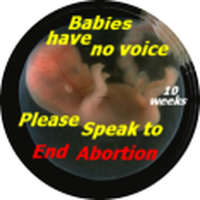 Now if you speak with them about Abortion you have a chance to speak for the lives of the Babies. 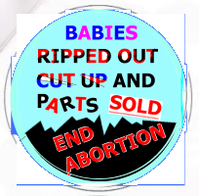 ANOTHER way: Joy Says "if I say something like..."Do you know that this button can help stop a baby from bring aborted? "...They usually say"Yes. "(This I find surprising.) So I say..."Would you like to have one or more?" Often people will take one each." What is your method of saving women and babies? Below is the "Why Wear a Baby's Voice Button". A 2 page document that is readable above ^^^ Click to download a copy. You can print these out and hand them out with or without each button. Life is special ! What you Can Do ! Copy and print page below, then cut pictures and attach to outgoing mail.